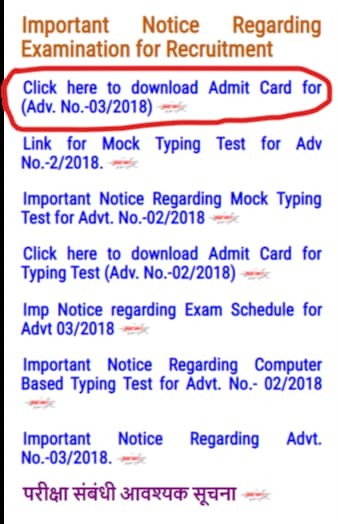 Bihar Vidhansabha Shorthand Exam Admit Card is now available for download. Candidates who appear for the same exam can download the Admit card by visiting the official website vidhansabha.bih.nic.in. The examination for the post of Reporter (Hindi Shorthand) is scheduled to happen in between February 21 to February 24 this year. Moreover, the examination for Personal Assistant post is scheduled to happen in between February 25 to March 1 this year. The examination for the post of Stenographer is scheduled to happen in between March 2 to March 5. Then, Click on the link as I have indicated in the screenshot below. Once you click on the link, a panel open where you have to enter your Application Number, Date of Birth, Post Applied for. Then, enter the captcha and the admit card will made available to you for download. 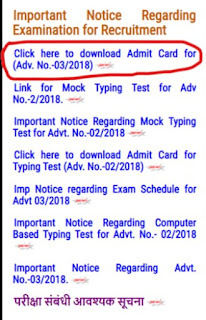 Bihar Vidhansabha Shorthand Exam Admit Card is now available for download. Candidates who appear for the same exam can download the Admit card by visiting the official website vidhansabha.bib.nic.in.